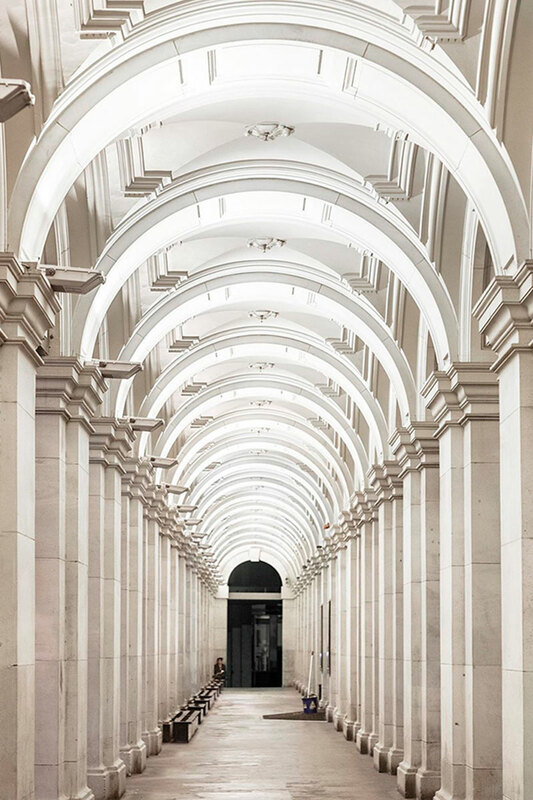 Based on the history of the Melbourne’s GPO building (one of the oldest post offices in the country) we thought to borrow from the origami-like folds of an envelope as our inspiration. 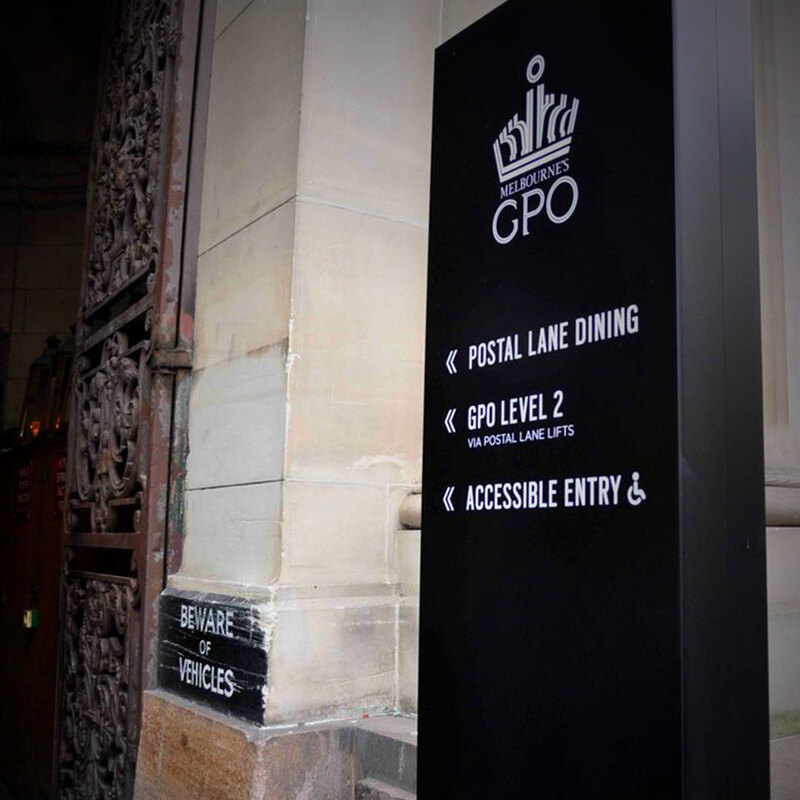 Melbourne’s GPO is a landmark heritage building, now home to myriad fashion boutiques. 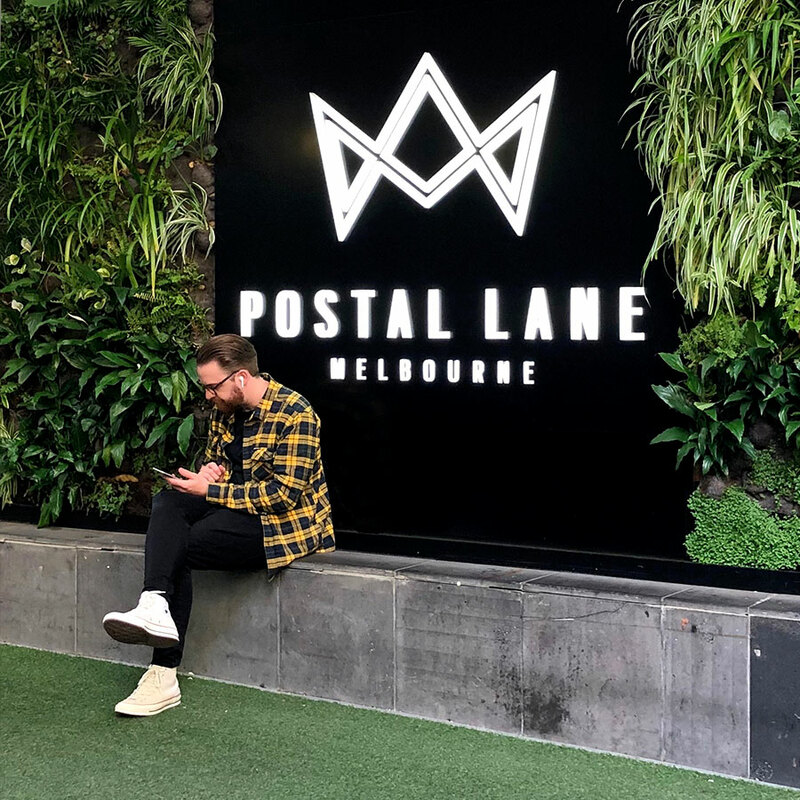 Wedged beside the grand Victorian edifice and Melbourne institution Myer is a “pedestrian-only lane” connecting the Bourke Street mall to Little Bourke Street. 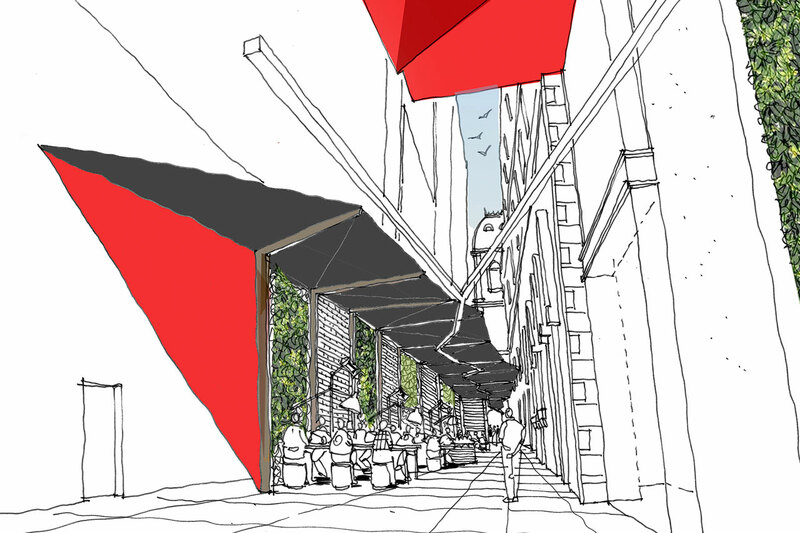 Known as Postal Lane, the narrow walkway lined with restaurants and shops. 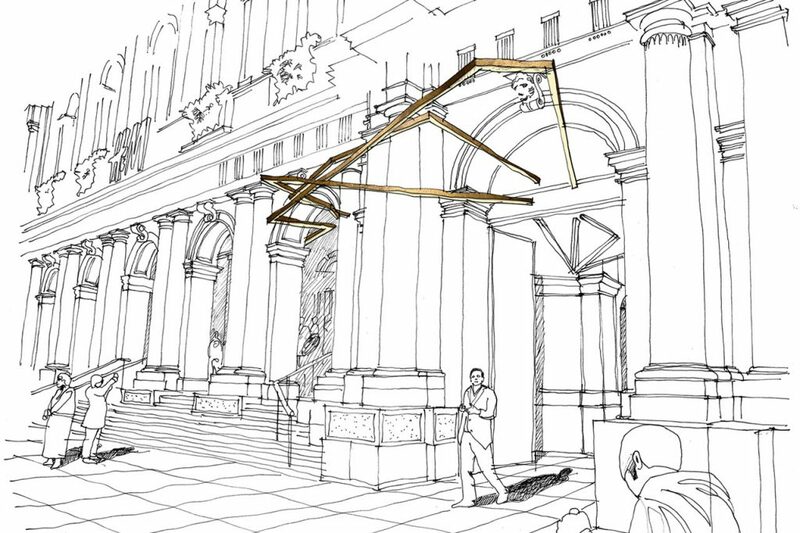 Villa+Villa designed a concept with a sculptural new entrance on Little Bourke Street. 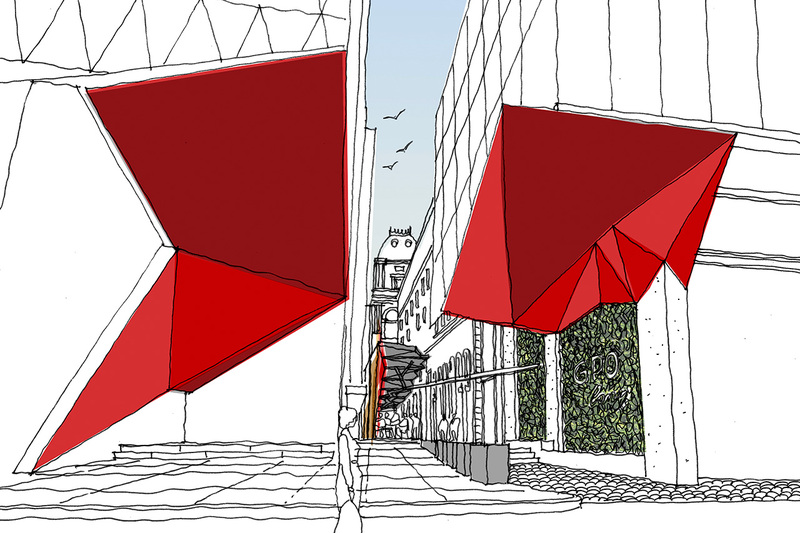 New awnings providing better weather protection for pedestrians and diners and quality fitouts. New signage and custom-designed lighting by Melbourne-based industrial designer Christopher Boots will deliver an energised space; giving this precinct a distinct personality, making it a destination in its own right. 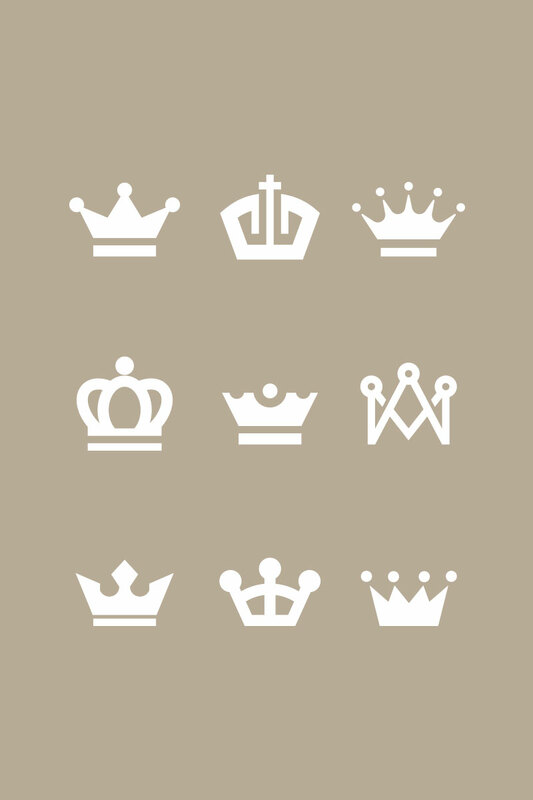 The new “Postal Lane” brand-mark is a modern, dual take between the “crown icon” and the “envelope’s folding form”. The envelope; today a nearly forgotten concept. 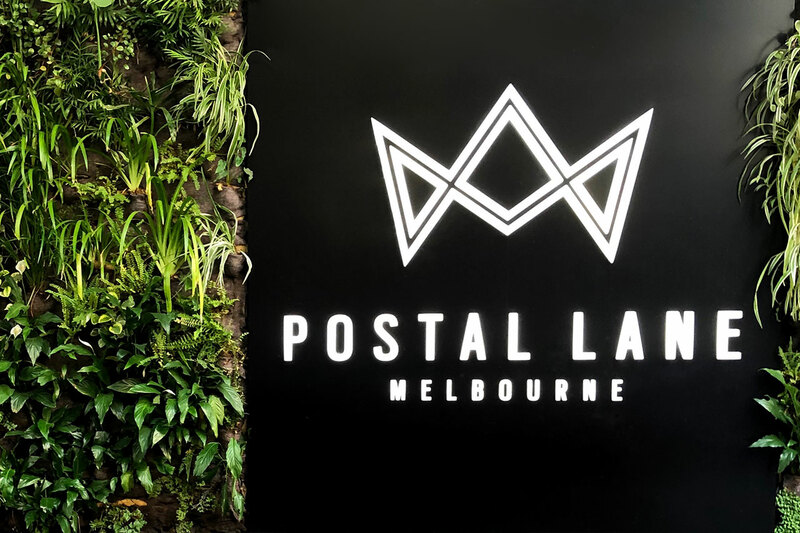 Borrowing from the fact, that the Melbourne’s GPO is one of the oldest post office building in the country; this new brand-mark for the Postal Lane, portrayed the double line of the original GPO logo together with a modern twist. 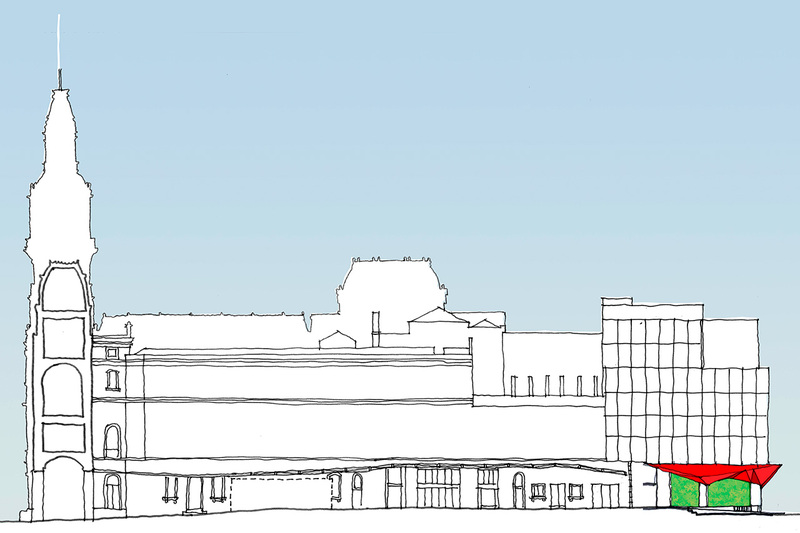 A further signage way finding package is on the pipeline to be undertaken soon by our client.